JSE Combined Index – 4.9m shares / $112.2m traded. (24 Advanced / 26 Declined / 7 Firm) . There were no new 52-week highs and 1 52-week lows today. Ordinary Shares – Main Market – 3,214,608 shares, 33 stocks traded, 15 not traded. 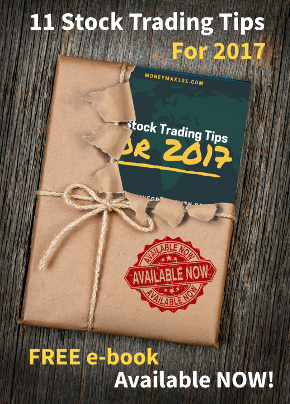 Ordinary Shares – Junior Market – 1,018,527 shares, 22 stocks traded, 13 not traded. Preference Shares – Main Market – 633,345 shares, 32 stocks traded, 19 not traded. Everything Fresh Ltd (EFRESH) shares advanced 4.93% or +0.07 to close at J$1.49 with 500 shares traded. Jamaican Teas Ltd (JAMT) traded between -5.82% and 12.19% above yesterday’s closing price of J$3.61 ( from J$3.40 to J$4.05) . It closed at J$3.57. Sagicor Group Jamaica Ltd (SJ) traded between 0.98% and 8.96% above yesterday’s closing price of J$37.63 ( from J$38.00 to J$41.00) . It closed at J$38.48. Sygnus Credit Investments Limited JMD Ordinary Shares (SCIJMD) traded as high as 7.64% above yesterday’s closing price of J$11.13 (between J$11.13 and J$11.98) . It closed at J$11.17. Caribbean Producers (Jamaica) (CPJ) traded between -9.09% and 6.06% above yesterday’s closing price of J$4.62 ( from J$4.20 to J$4.90) . It closed at J$4.57. Sagicor X Fund (XFUND) traded between -4.14% and 4.94% above yesterday’s closing price of J$9.91 ( from J$9.50 to J$10.40) . It closed at J$10.05. Stanley Motta Ltd (SML) traded as low as -9.82% below yesterday’s closing price of J$4.99 (between J$4.50 and J$4.99) . It closed at J$4.83. Caribbean Producers (Jamaica) (CPJ) traded between 6.06% and -9.09% below yesterday’s closing price of J$4.62 (from J$4.20 to J$4.90) . It closed at J$4.57. Jamaican Teas Ltd (JAMT) traded between 12.19% and -5.82% below yesterday’s closing price of J$3.61 (from J$3.40 to J$4.05) . It closed at J$3.57. FosRich Company Ltd (FOSRICH) traded between 0.24% and -5.80% below yesterday’s closing price of J$4.14 (from J$3.90 to J$4.15) . It closed at J$4.04. Mayberry Investments Ltd (MIL) traded between -0.56% and -5.56% below yesterday’s closing price of J$9.00 (from J$8.50 to J$8.95) . It closed at J$8.51.